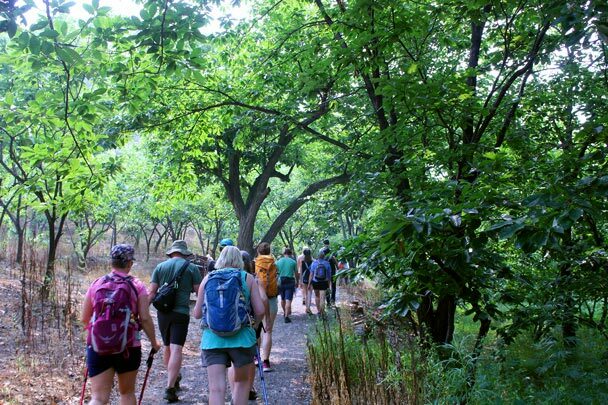 In Brief: Photos from an easy hike in the Huanghuacheng area that finished at the Little West Lake, a park area in Huairou. 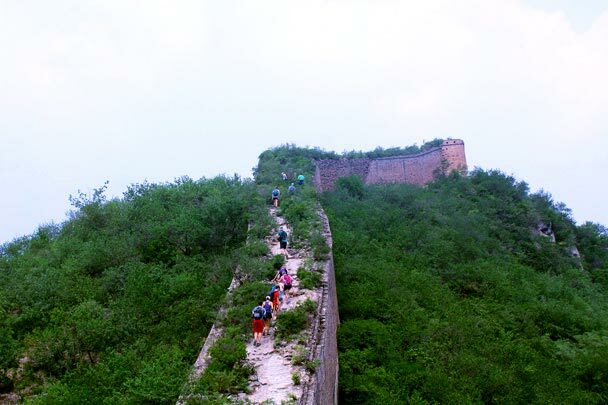 Getting started on a steep climb up the wall. 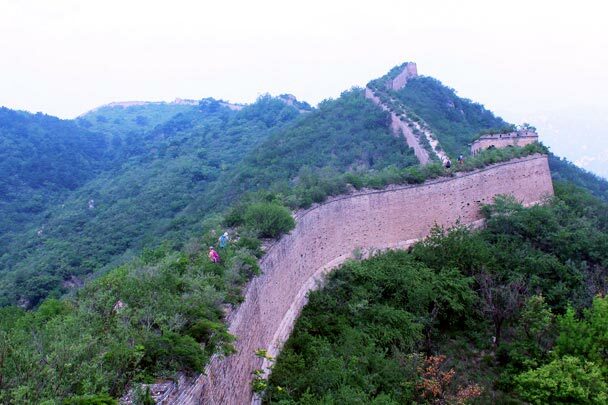 It's a fairly short walk, with some steep climbs on the Great Wall. 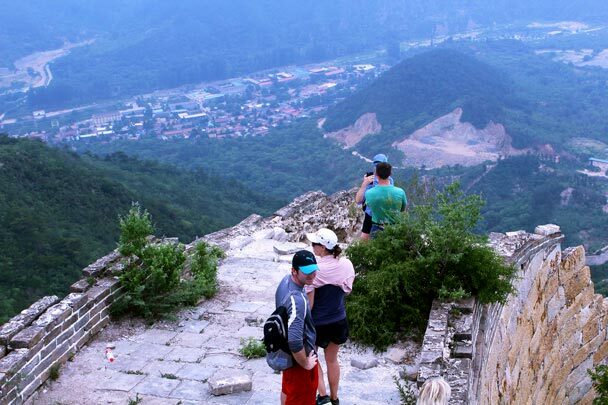 As well as walking on the unrestored 'wild' Great Wall, we had excellent views from high up. 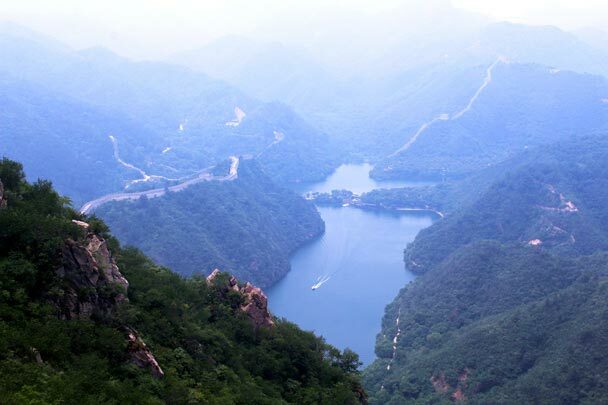 The section of wall near the Little West Lake has one of the best lookout points in the area: views of the Little West Lake reservoir far below and a long line of Great Wall that runs off into the mountains. 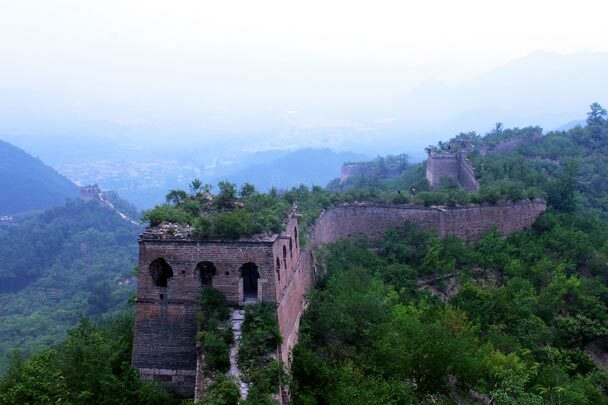 Looking down from the Great Wall at Zhuangdaokou. 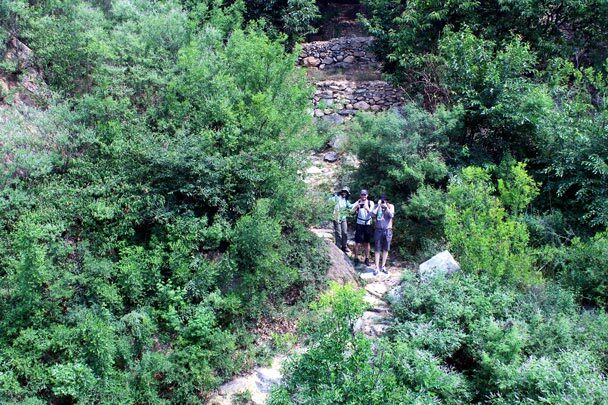 The hikers below are on the old path that leads through a massive archway in the Great Wall right here. 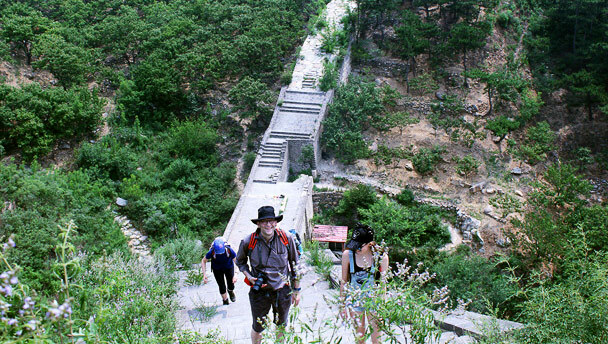 First steep climb of the day - up the repaired stairs. 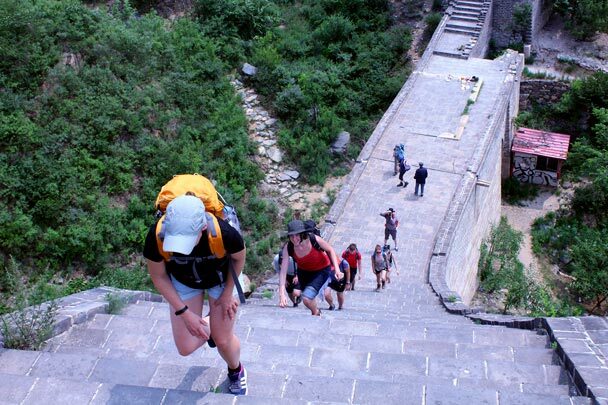 It’s steep on the other side, too! We headed up towards the tower in the background. 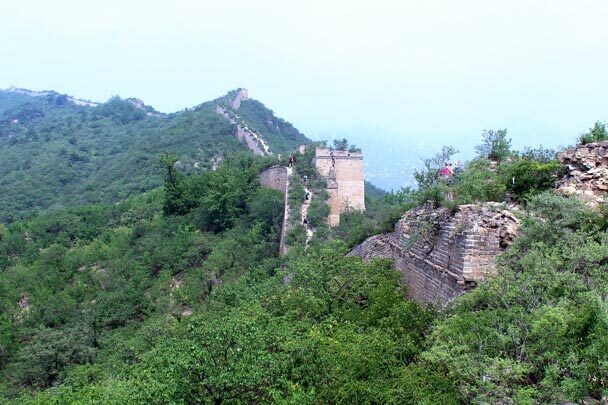 The wall here hasn't been repaired since the Ming Dynasty, and is now well overgrown. The foundation looks strong, but the battlements have all fallen down. 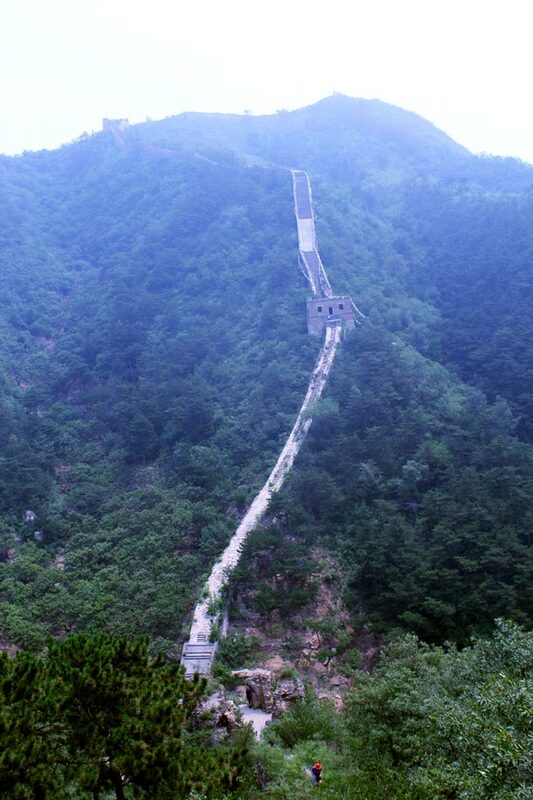 A shorter, but still steep climb. Here's the view of the Little West Lake Reservoir. Construction started in the ‘70s, and wasn't finished until the ‘90s. Views of a resort town far below.